According to the latest reading of Case-Shiller Home Price Index, home prices have increased year over year. Even though real estate market is very regional and one or two positive reading don’t make it a trend, it’s encouraging for the economy as well as current and potential homeowners. Besides many benefits of owning a home that apply to the general public, each buyer has his/her own criteria and reasons to purchase a house. One of the benefits that translate directly into dollars in your packet, or more precisely dollars not out of your packet is a tax benefit of owning a property. 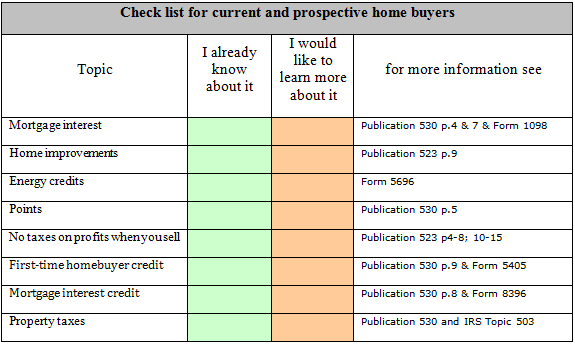 Below is a checklist for the common home ownership benefits. Glance over them to make sure you already take advantage of them, or know about them if you’re considering a purchase. Mortgage interest – Regardless of the rate on your loan, you will end up paying a significant amount of money in interest. That interest can be deducted from your taxes effectively lowering your overall liability to the government. Mortgage interest credit – This tax benefit may be offered to lower-income homebuyers who received a Mortgage Credit Certificate; the certificate will indicate a credit rate and indebtedness amount to calculate the amount of credit. No taxes on profits from real estate sale – Although harder to achieve these days as comparing to prior decade, when you sell a property that was your principal residence for two of the last five years the profit you made on sale in tax free. There are limits: $250,000 in profit for singles or $500,000 for married couples. Partial exclusions are possible in certain situation. Home Improvements – Keep the receipts, especially those from the major improvements done to the house as they can be added to the base price you paid for the house (see “Record of Home Improvements” on page 12 of Publication 530). 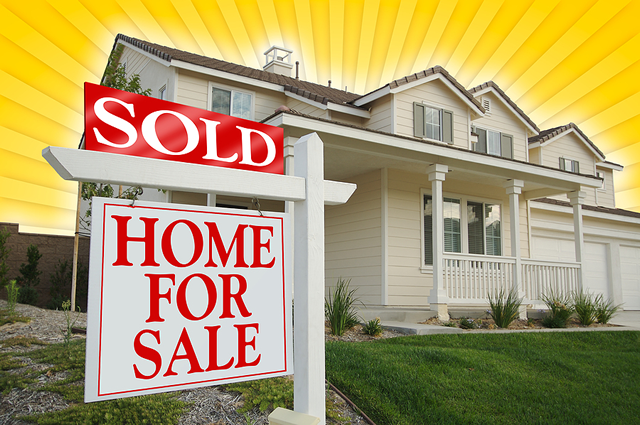 In this case, you make your house more ”expensive” at the time of purchase which is important in calculating your profit when you sale the house. See previous section. Points – If you paid points to qualify for better mortgage rate when buying or refinancing your home, that expense can be used as deduction. The points have to be spread over time and there are limitations to the amount that can qualify for deduction so check with your accountant for the optimal solution. Energy Credits – Every passing year offers fewer credits but they are still available; Federal tax credits exist for solar, wind, and geothermal projects, as well as fuel cells. Property Taxes – This is the main source of income for many US municipalities. The tax rate varies across the country and can vary based on how a property is classified and it is based on the fair market value of the property.